It's time for yet another Nvidia-only game with the "THD" label, and like the excellent Zombie Driver, it's a pilgrim from the PC and console shores. Hamilton's Great Adventure has been a sleeper hit on Steam and the PlayStation 3, thanks to its adventure game presentation and challenging, go-at-your-own-pace puzzle structure. You follow the exploits of Indiana Hamilton and his pet bird Sasha, as they trounce around ancient ruins in search of the Fluxatron, which Hamilton's professor buddy needs to finish his Transmorphanizer. Ho there, adventurers! Are you tired of running through the jungle, and ready to do some actual exploring? Then Hamilton's Great Adventure might just be for you. 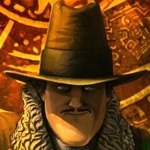 It's the latest in Nvidia's stable of ported games exclusive to Tegra hardware. Don't let the title fool you: Hamilton's Great Adventure is in fact a puzzle gam through and through, with some light twitching and platforming elements for some extra spice. The game is available now, at a pricy $3.99 split up into two chapters. We touched lightly on Orgarhythm THD back in June, but it's finally hit the Play Store, at least for those of you rocking Nvidia Tegra-based phones and tablets. Formerly a PlayStation Vita exclusive, it's a strange mix of strategy and rhythm games that looks a lot like a more serious, groovy version of Nintendo's Pikmin. The music game comes from Acquire, the same Japanese developer that brought us the visually interesting but ultimately disappointing Sumioni. 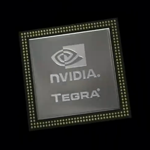 You may remember the name Heroes Call from E3, when NVIDIA touted it as one of the major upcoming games that would sport customizations to take full advantage of their Tegra chip. 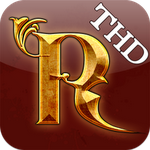 The Tegra HD (THD) version of the game was released last night at the low, low price of free. Thankfully, this might just be one of those rare cases in which "free" gets you quite a lot. Free to play Action RPG. 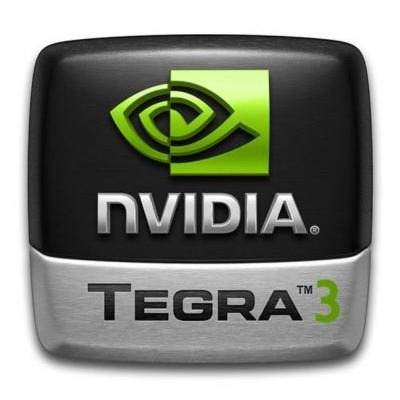 NVIDIA has been working hard to bring a console-like gaming experience to portable device that feature the Tegra 3 superchip. Shadowgun was the first title to really break that barrier, and the experience has only gotten better since then. Games like Dark Meadow and Sonic the Hedgehog 4 Episode II now set the standard - and that's a high bar to reach in the mobile space. 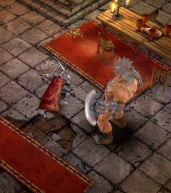 Today, though, NVIDIA has taken the wraps off of five all-new Tegra Zone games designed specifically for the 4-plus-1 core Tegra 3 processor: Dead Trigger, Puddle THD, Demons' Score THD, Bounty Arms, and Heroes Call. SoulCraft THD allows you to play as an angel (with human and demon options coming later), taking part in a compelling story, set at a time when humans are on the brink of discovering the secret of eternal life.